This fine Regency Villa is one of several historic houses in St. David’s Street, all leading to our celebrated medieval church. 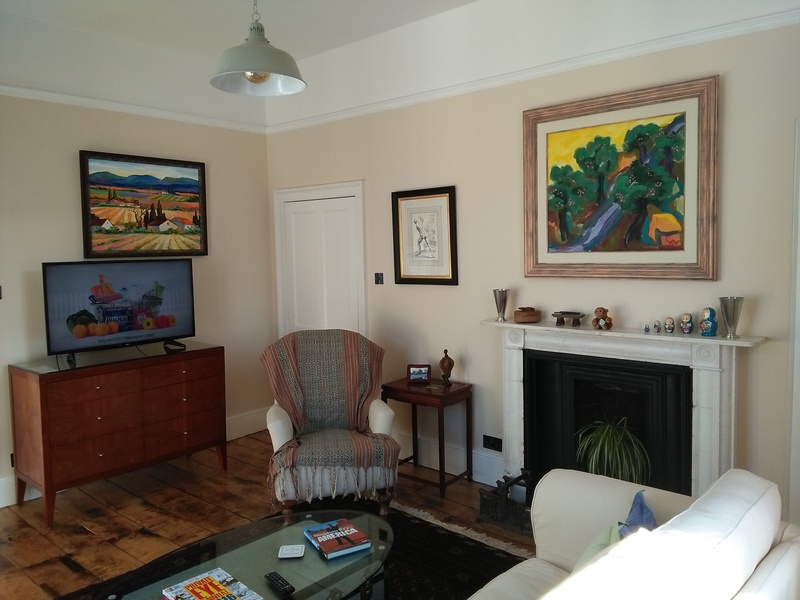 Once home to the town’s Doctors, recent restoration combines original Surgery rooms with old domestic quarters above, to create a homely, contemporary apartment, while retaining Georgian high ceilings, lovely hardwood floors, original pitch-pine staircase and sash windows. There’s off-street parking for ONE CAR, by prior arrangement, (at owner’s risk). A simple, fair tariff, all year round. Sorry, the apartment is not suitable for pets. Or children. 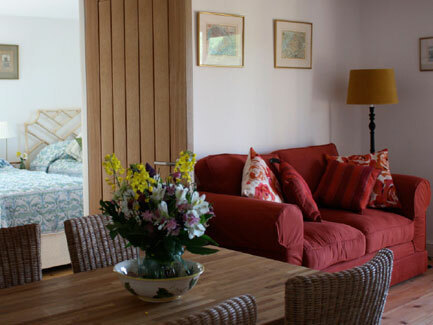 Oak view is a detached self-catering cottage situated in the heart of the small historic market town of Presteigne. The cottage sleeps 4-5 people. 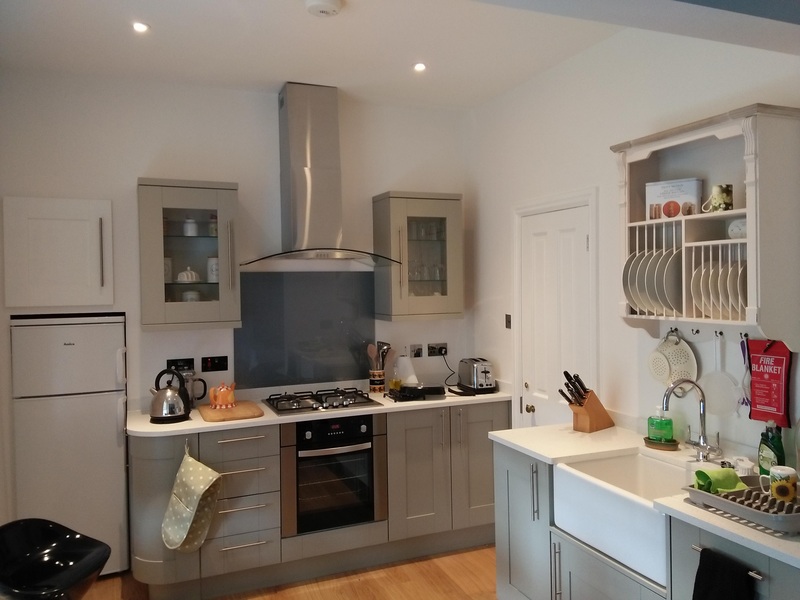 The cottage lies within a 1 minute walk from the town which boasts plenty of shops, restaurants/pubs, tea room, wine bar, library, tourist information centre, sports centre with swimming pool. 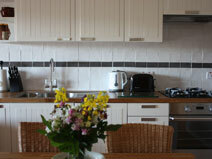 Whilst having a central location it retains privacy and peacefulness, ideal for families or couples. On the ground floor there is an entrance hall with a cosy living room off to the left, a large cloakroom can be found on the right; the hall leads through to a well equipped kitchen and dining area with views to the pretty garden at the rear. A flight of stairs from the entrance hall takes you to the 1st floor where you will find two double bedrooms. 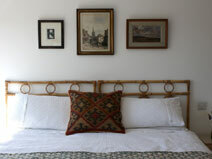 The master bedroom is at the front of the property and boasts a king size bed with far reaching views of Presteigne. 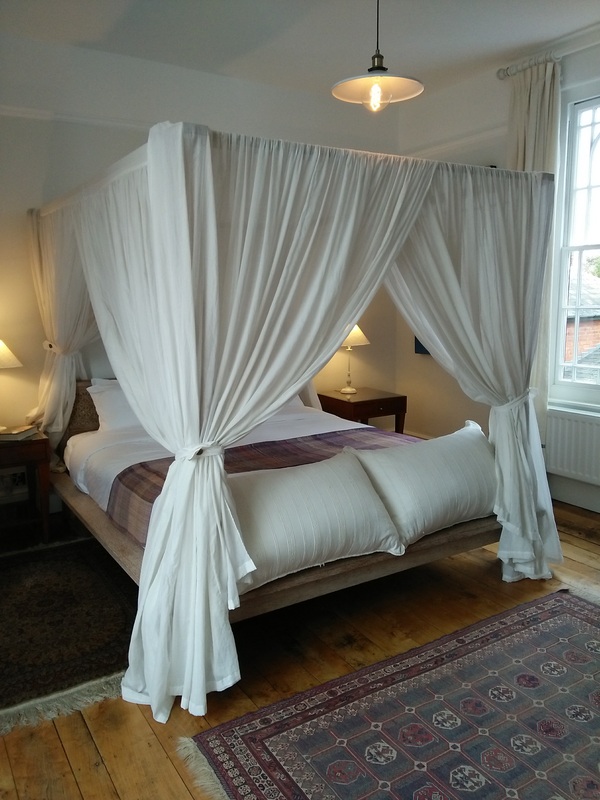 Bedroom two has two single beds with views across to the historic warden, a wooded park set around a 12th-century motte and bailey castle that provides an enjoyable walk with wonderful views across Radnorshire, an extra bed is available upon request for bedroom 2. Next to bedroom 2 you will find a large newly fitted shower room and toilet. Outside there is a small tiered cottage garden with a raised deck area that takes advantage of the wonderful views of the surrounding countryside. Outdoor garden furniture, including a bbq, are provided for our guests to enjoy. At the front of the property there is a seating area where you can enjoy morning coffee whilst enjoying the countryside views or simply watching the town wake up from its slumber. Private off road parking for 2 cars is situated directly outside of the property. Oak view is pet friendly, you are welcome to bring along your furry companion, there are lots of lovely countryside walks for you to enjoy, Just advise us in advance if you are bringing your furry friend. The cottage is suitable for one well behaved dog. We have a strict Non-smoking policy at Oak View. We like to ensure that all of our guests are able to enjoy a smoke free environment during their stay. If you have any specific requirements then please do not hesitate to contact us and we will do our upmost to accommodate your requests. Horse riding is available nearby. Please ensure that you have read and understood our terms and conditions prior to finalising the booking. 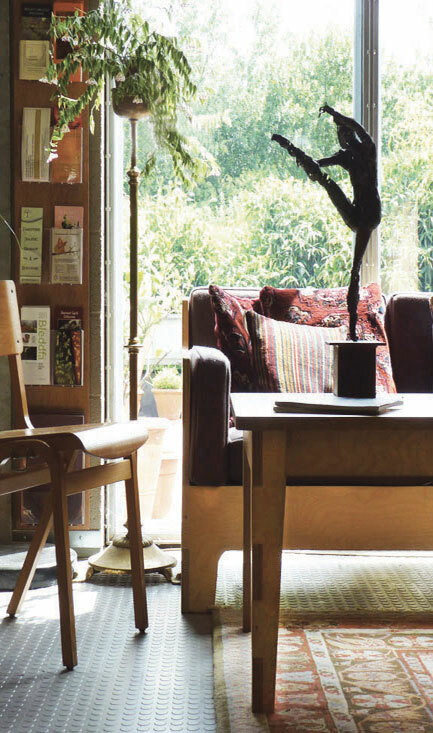 Along with our gallery and café, we are home to David Bamford Handmade Carpets, makers of beautifully designed, bespoke, handknotted carpets, textiles, flat weaves, runners, blankets, embroideries, cushions and scarves. The Workhouse also houses a specialist carpet conservation, restoration and cleaning business. An individual with a new invention, who needs some design work done, or a prototype made? An established company, needing help with a new product, or improvements to the design or production of an existing one? Anyone needing small parts machined? At High Lea, we use Computer Aided Design to show how a new product will look and work prior to anything being made. Parts can be made on our computer controlled machine or sent electronically to other manufacturers, without the need for drawings. Contact us to find out how all this needn't cost a fortune! Memorial Hall gets a Refurbishment. Following an unsuccessful bid to the Big Lottery for funds to rebuild the Memorial Hall the Memorial Hall Committee decided to seek funds for a refurbishment of the existing structure. James Tennant-Eyles volunteered to seek suitable funds and apply for them and if successful to run the project through to completion of the works. Successful applications to the Joint Forces Military Fund, and the Powys County Council Regenration fund, provided some £85,000 to install new double glazed doors and windows, a new insulated roof covering, and entirely refurbished the toilets. Funds were also obtained to upgrade the stage and provide demountable raised seating. Adjacent land was donated by Powys County Council and was converted into an additional car parking area for the Hall. The Memorial Hall Committee undertook to create a Rememberance Room celebrating the relationship between the Miltitary and Presteigne. All these works are now completed and have given the Hall a new lease of life which should enable it to carry on providing an excellent large venue facility in Presteigne for many years to come. clear to all that this war must be remembered and learned from. of the culture of Wales. All so proud to be Welsh and all died so. loved, in the fields of World War One. temporary installation for the four years duration of World War One. of dragons, our sleeping Welshman left his children! For a town of its population, Presteigne has bred an extraordinary number of new varieties of daffodil – 470. There were four breeders of the Narcissus here in the first half of the twentieth century – the golden age of daffodil breeding: Gwendolen Evelyn at Corton, Dr Nynian Lower at St David’s House, Alexander Wilson at Middlemoor and Sir John Arkwright at Kinsham Court. Presteigne’s doctor, Nynian Lower (1872-1926) had trained at Guy’s Hospital, London, and served as surgeon on British India steamer Rewa before settling at Presteigne. He bred 66 varieties from 1907- 26 including ‘Beauty of Radnor’, ‘Discoed’, ‘Norton’, ‘Presteigne’ and ‘Stapleton’ and was President of the Midland Daffodil Society (MDS) in 1923-4. By far the most prolific of the four was Alexander (Alec) Wilson (1868-1953) who moved from Somerset to Middlemoor in 1918. In all he contributed an astonishing 371 varieties, including the well-known ‘Snipe’ with swept back petals. Many have local names: ‘Ackhill’, ‘Bledfa’ [sic], ‘Broadheath’, ‘Byton’, ‘Coleshill’, ‘Cwm’, ‘Felindre’, ‘Harpton’, ‘Knill’, ‘Lingen’, ‘Ludlow’ (white), ‘Monaughty’, ‘Nash’, ‘Pilleth’, ‘Stocken’ and ‘Stonecote’. Wilson was a great benefactor to Presteigne (Wilson’s Terrace) and he donated bulbs for each of the town’s new council houses. Sir John Arkwright (1872-1954) began breeding daffodils in 1919. Between 1930 and 1938 he contributed nineteen to the Royal Horticultural Society’s register, most of them notable for the contrasting colours of their trumpet and petals. He was President of the MDS in 1937-39. His stock patch still comes up annually in the lawn at Kinsham and 60 varieties have been recorded in the grounds. Miss Evelyn (d1949) had grown up at Kinsham Court and was the niece of Arkwright’s wife. From 1927-33 she contributed thirteen new varieties, four of them collaborations with Wilson. Unfortunately, most of Presteigne’s introductions will have been lost by now. Unless they had significant commercial appeal and were taken up by the Dutch growers (like Wilson’s ‘Carbineer’ – see photo), as improvements were made with each new cross, the parent varieties were usually cast aside and the next generation used as new parent plants. If used in gardens, unless careful notes of their location were kept, they will now be unknown. Both Miss Evelyn and Alec Wilson harvested flowers for commercial sale, too. Harry Hatfield (later, Presteigne’s greengrocer) managed Miss Evelyn’s crop, and after her death he continued to raise daffodils in Presteigne. Lane Walker oversaw Wilson’s enterprise at Middlemoor, and afterwards grew his own blooms on ten acres at Broadaxe, Presteigne. The flowers of both growers were picked and bunched by local ladies and dispatched in wooden crates on the overnight train from Presteigne Station to Paddington, London. There they were met by an agent who oversaw their safe delivery to Covent Garden market. The closure of the local railway line in 1964 didn’t just make travel more difficult, it also killed off a colourful contributor to the local economy. Information produced in collaboration with members of Chatterbrook WI.